A LIVE Theatrical Style Wedding Show Like Never Seen Before. Inviting people of all backgrounds, races, age group, singles, families and couples. 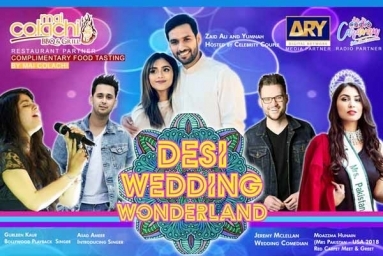 Hosted by popular Youtuber & Celebrity Couple Zaid Ali T and Yumnah. 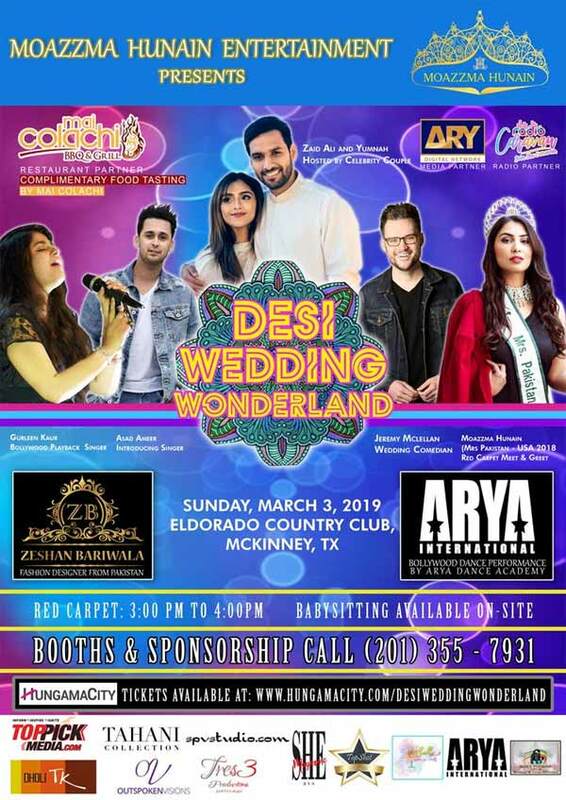 Red Carpet (Dhol Baaja Barat Style)- Meet & Greet + Photo Opp with Mrs. Pakistan USA 2018! Red Carpet is from 3:00 PM to 4:00 PM and Show begins promptly at 4:10 PM. For those who are married, feel free to re-wear your own wedding dress to the Big Fat Desi Wedding Show of the Year!